Location, location, location. This five-star boutique property is in a prime location for some of the best designer shopping in Knightsbridge, London. 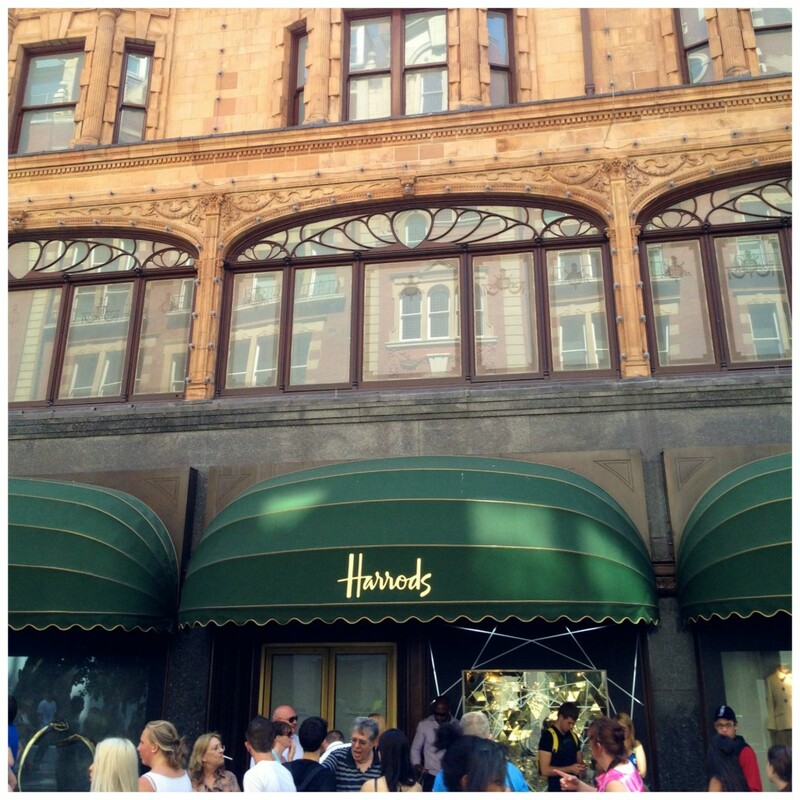 Harrods is literally a hop, skip and jump away while you’re also very close to the designer shops on Sloane Street and Harvey Nichols. 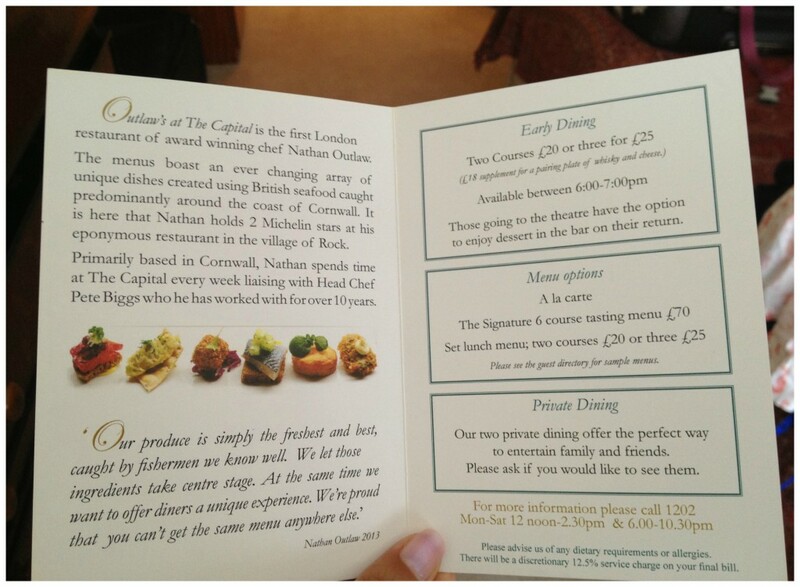 Hyde Park is in walking distance, as is the Knightsbridge Tube Station. 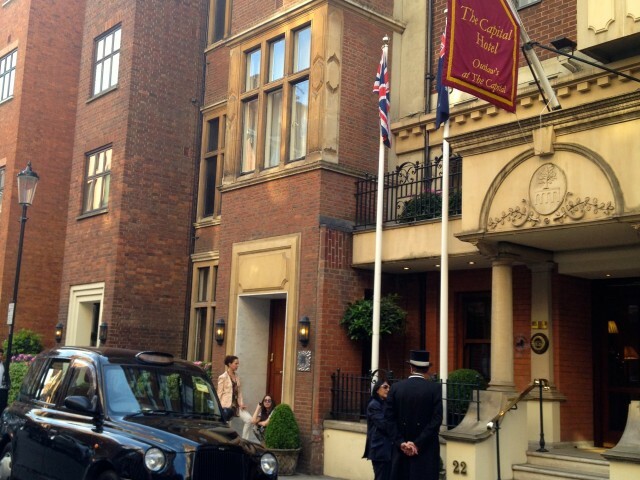 In addition to being situated in one of the nicer neighborhoods of the city, The Capital Hotel is a family-owned, traditional British property with a staff that makes guests feel very welcome. 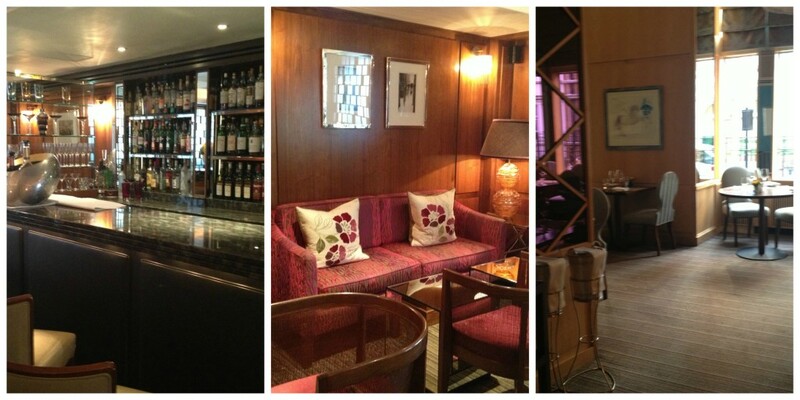 It lacks the big hotel feel and instead a classy, comfortable environment of a boutique hotel surrounds you. The Capital Hotel has fifty guest rooms including a two-bedroom suite, eight junior suites, seven deluxe doubles, and both Classic Queen and double rooms. A great perk are the Capital Apartments next door to the hotel that are available for longer stays. If you feel like settling in for a longer period of time the apartments just may be the option for you. The rooms in the hotel are very nicely decorated with a classic, elegant feel. We stayed in the Classic Queen room and while it wasn’t extremely spacious the little touches in the room were lovely. 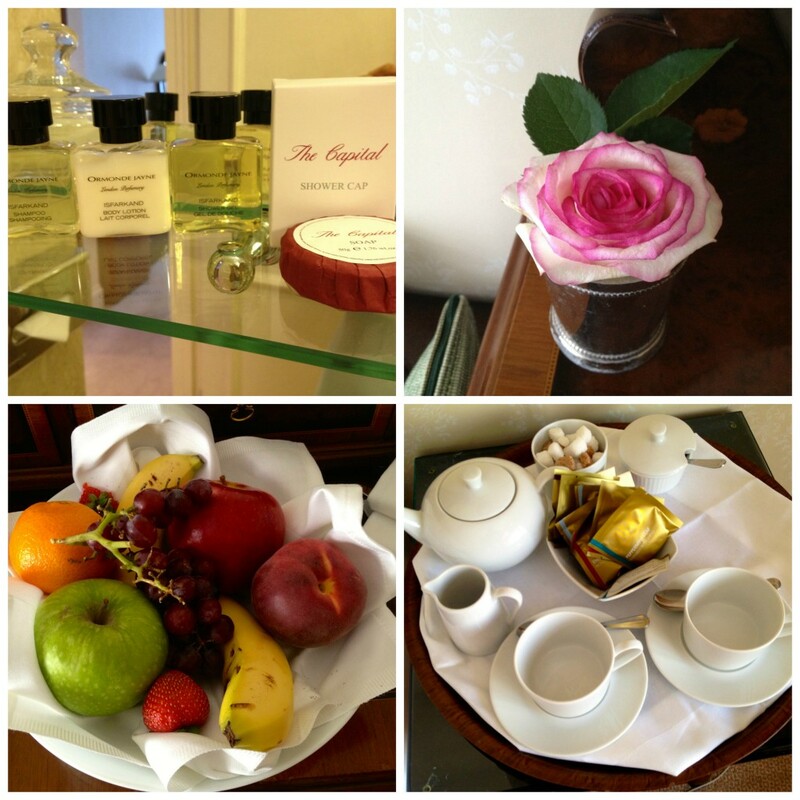 The Templespa bathroom amenities, fresh flowers, delicious fruit platter and afternoon tea were just a few. If you’re staying more than a couple of nights or have a large amount of luggage as we did, I’d recommend choosing one of the larger room options. It does come down to how much you’ll actually be in your room though. With so much to see and do in the great city of London I can’t imagine anyone would spend too much time in the hotel especially when the property is in such an ideal location such as this one. You don’t have to go far to have a special dining experience. The Michelin starred restaurant Outlaw’s at The Capital is known for its unique and delicious seafood dishes created by Nathan Outlaw and Head Chef Pete Biggs. While we didn’t get to dine in the restaurant during our short stay the menu had me salivating with delicacies like oysters, scallops and lobster risotto, just a few of my favorite things. Since this is a boutique hotel you won’t find a gym or large business center within the hotel however The Capital has plenty to offer its guests during their stay. If you find you’ve indulged a bit too much in that rich English cuisine and must hit the gym guests have access to the exclusive The Peak Health Club and Gym on Sloane Street in Knightsbridge. If you decide to forego the workout and opt for some retail therapy to burn those calories the hotel offers a personal shopper for Harrods and Harvey Nichols. The friendly and helpful concierge can assist with these services and more. If you’re planning a trip to London and designer shopping is high on your list as well as a traditional English boutique hotel experience, The Capital Hotel in Knightsbridge is a good choice.